A candid moment captured during Edinburgh's Fringe Festival. 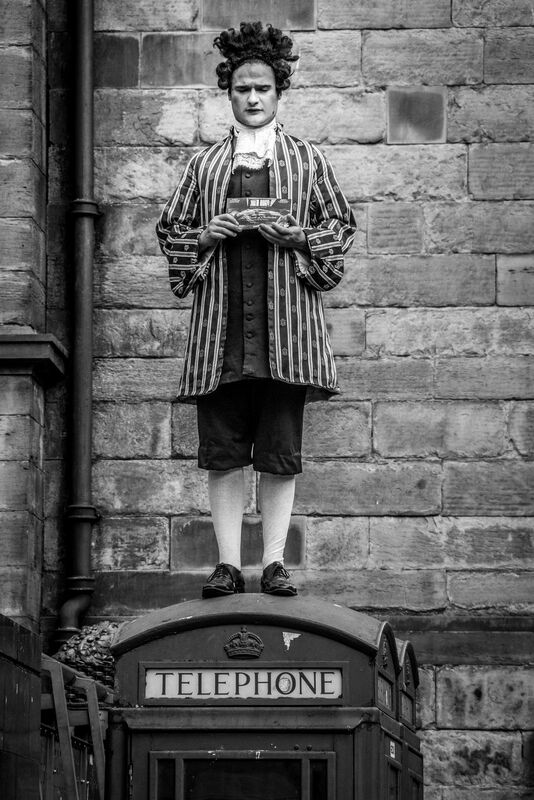 Performers take to the Royal Mile where they endeavor to creatively draw attention to their shows. Date Uploaded: Nov. 25, 2013, 3:13 p.m.